Digital marketing is the fastest growing segment of the marketing industry, but the sector goes far beyond simply Facebook and Twitter. For B2B sales professionals, a great deal of use can be found in LinkedIn. While the networking aspects are obvious, the site’s ad platform offers a number of advantages for B2B advertisers that simply cannot be found anywhere else. With many other digital platforms, chances are that any number of individuals could be targeted. After all, people use social media for a variety of reasons. However, LinkedIn stands out for one major reason. People on LinkedIn use the platform for the simple goal of doing something to help their careers, meaning that people who look at ads on the platform are not likely to be distracted by a competing post for their favorite TV show or vacation pictures from a friend’s trip to Europe. 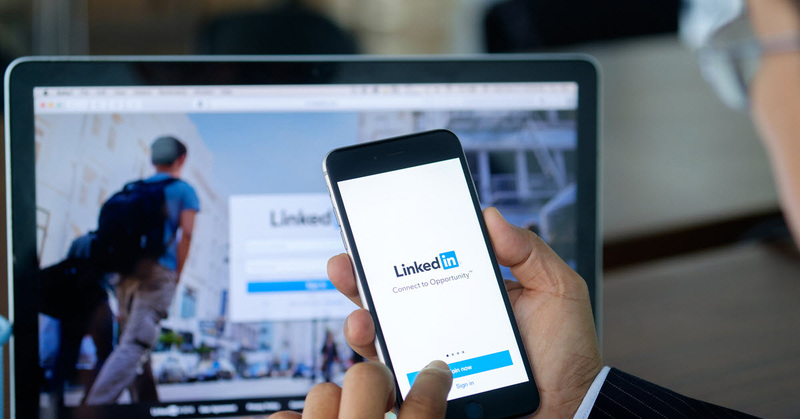 In addition to being able to guarantee that a target audience is already in a professional mindset, LinkedIn ads allow a user to specifically target individuals across a number of criteria. On LinkedIn, it is possible to instead focus on exact job titles in a given metro area. In fact, LinkedIn allows advertisers to get so precise as to make sure that only decision makers are being advertised to. Seniority, job function, company name and size, industry, and degree type are all also valid filters on LinkedIn, and since the information comes straight from a person’s profile, it is all quite accurate. This means that companies may pay more per lead, but those leads are much more likely to convert. Speaking of leads, LinkedIn also lets advertisers set up their ads to directly generate leads. LinkedIn’s lead generation system allows advertisers to generate quality leads using forms that are pre-filled with LinkedIn profile data. With Lead Gen Forms, advertisers can collect leads at conversion rates that typically outperform the LinkedIn benchmark. Finally, because LinkedIn is able to learn much more about the individuals who use its ads, it can, in turn, offer more advanced conversion tracking. This allows advertisers to figure out precisely where they may better optimize their sales funnels in order to reach the greatest number of ideal clients. In short, the question for B2B advertisers is not if LinkedIn’s ads are a good fit for them, but instead, why aren’t they already using it. From conversion tracking to pinpoint targeting, no other platform offers the breadth and depth of ability that LinkedIn offers advertisers.